The Indraprastha University Common Entrance Test is conducted by Guru Gobind Singh Indraprastha University (GGSIPU) for admission to various courses at GGSIPU and it’s affiliated institutes. Know more about IPU colleges here. UPDATE (Mar 22, 2019): IPU CET 2019 registrations have started, check Application Procedure here. From the academic session 2019-20, the CET entrance examination has been discontinued for many programmes. It will be replaced by National Level Exams. Admissions to B.Tech. courses at GGSIPU and it’s affiliated institutes will be done through JEE Main Paper-1 though candidates need to separately apply for GGSIPU Admisisons. NOTE: No CET exam will be conducted for CET Code 131 (B.Tech). Admissions to B.Tech course will be done on the basis of performance in JEE Main Paper-1. Check JEE Main 2019 Pattern details here. Check JEE Main 2019 Schedule here. The candidate must have passed class 12th or equivalent examination with a minimum aggregate of 55% marks in Physics, Chemistry and Mathematics. The candidate must have passed each subject in class 12th or equivalent examination. All applicants are required to appear in Joint Entrance Exam (JEE) Main Paper 1 conducted by National Testing Agency (NTA). The University shall not conduct its own CET for admissions, but shall be utilizing the merit of JEE Main Paper 1 for its admissions. As on August 1 2019, candidate should not be beyond 21 years. Check JEE Main 2019 Syllabus here. The prescribed Application Fee is ₹1,000. 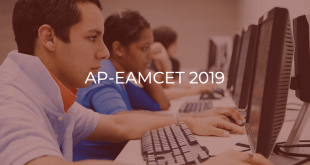 The registration for IPU CET 2019 will begin on March 22, 2019. The last date to register is yet to be announced. Candidates must fill-up the online application form through IPU CET website. Fill the general information form which contains the personal information fields. Upload scanned images of photograph, signature and left hand thumb impression. Click on Qualification Details tab and fill the qualifying examination details. After getting the login ID and password, proceed by clicking on “Apply for Courses”. Choose the course code 131 for B.Tech and enter your JEE Main Application Number and Roll Number. Pay the examination fee online (by Credit card/Debit Card/NetBanking). Save the course registration form for future references. After submitting the CET application, if there’s any mistake in the date of birth or spelling mistake in the name of applicant or spelling mistake in the parents name or in the choice of category/region claimed for the purpose of availing reservation, the applicant must submit an application in physical form. The Application has to be submitted along with an applicable processing fees of Rs.500 to “Reception, Examination Division, Guru Gobind Singh Indraprastha University, Delhi.”. The application must be submitted within 5 working days of the last date of form submission together with the applicable fees. After this no request for any correction shall be entertained by the Examinations Division. Check JEE Main 2019 Admit Card details here. Check JEE Main 2019 Test Centres here. A merit list will be prepared based on the merit in JEE Main Paper 1. Admissions will be done based on the rank in merit list. The admission will be purely on the basis of the merit in JEE Main paper 1. 85% seats are reserved for Delhi Region Candidates while 15% seats are reserved for Outside Delhi Region Candidates. Read more about GGSIPU Counselling here.